Despite being one of the most striking features of the North America continent, the reason for the existence of Hudson Bay is obscure. It lies in the Precambrian core of North America, which comprises the Canadian Shield and contiguous platform regions (Laurentia - Hoffman, 1988). The region is underlain by the largest continental root on Earth and is the site of one of the largest negative geoid anomalies (Figure 1). When such roots develop, how long they last, and their influence on cratonic basins are unanswered questions which we aim to address. Figure 1: Gravity images from the GRACE project. Note the long wavelength anomaly that characterizes the Hudson Bay region. The tectosphere, or lithospheric mantle beneath a craton (Jordan, 1975; 1988), has a thermochemical structure that differs from average lithospheric mantle, but is quite variable in depth and size from craton to craton. Cratonic roots are easily recognizable on global tomographic images due to their high shear-wave velocity at 150-300 km depth (Figure 2). 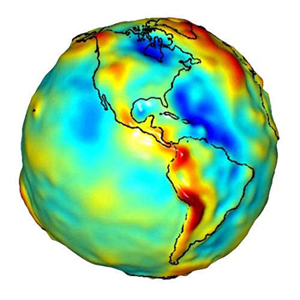 Although the Laurentian tectospheric root is relatively cool compared to adjacent parts of the mantle, it has been proposed that approximate equilibrium between thermal and chemical buoyancy will contribute to tectonic stability of cratons over geological time (Forte and Perry, 2001). Based on global tomographic images (e.g., Megnin and Romanowicz, 2000), the thickest part of the Laurentian cratonic root appears to be situated near the western shoreline of Hudson Bay. Cratonic roots such as this are strong, refractory objects that impede asthenospheric flow (Forte and Perry, 2001) and upwelling of deep mantle plumes (Sleep, 1997). Figure 2: S-wave velocity perturbations at 200 km depth from global model SAW24B16 (Megnin and Romanowicz, 2000). Cratonic roots have long been associated strongly with Archaean cratons. This has led to models for root formation that invoke predominantly Archean processes, such as extraction of Komatiitic magmas (e.g., Griffin et al., 1999) to explain the intrinsic low density of the tectosphere. The Laurentian root does not fit easily within this paradigm, since it appears to extend beneath not only parts of Archean Laurentia, but also underlies significant areas of juvenile Proterozoic crust - in particular, the Trans-Hudson Orogen. However, our current picture of the root comes from seismic tomography constrained only by 2-3 permanent seismic stations in the region. 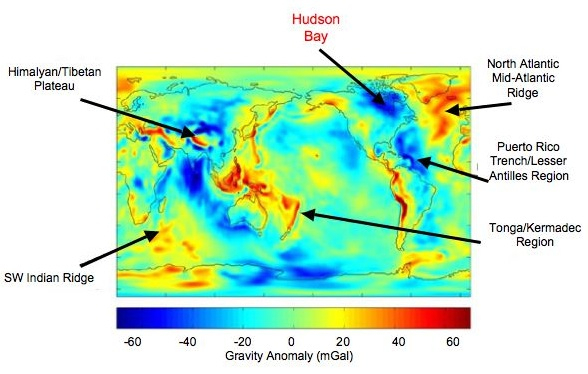 Improved station coverage is needed to map in detail the architecture of the tectosphere beneath the region, showing whether or not the root underlies the younger Trans-Hudson. A number of research groups have installed seismic stations around Hudson Bay that are contributing to the HuBLE initiative. 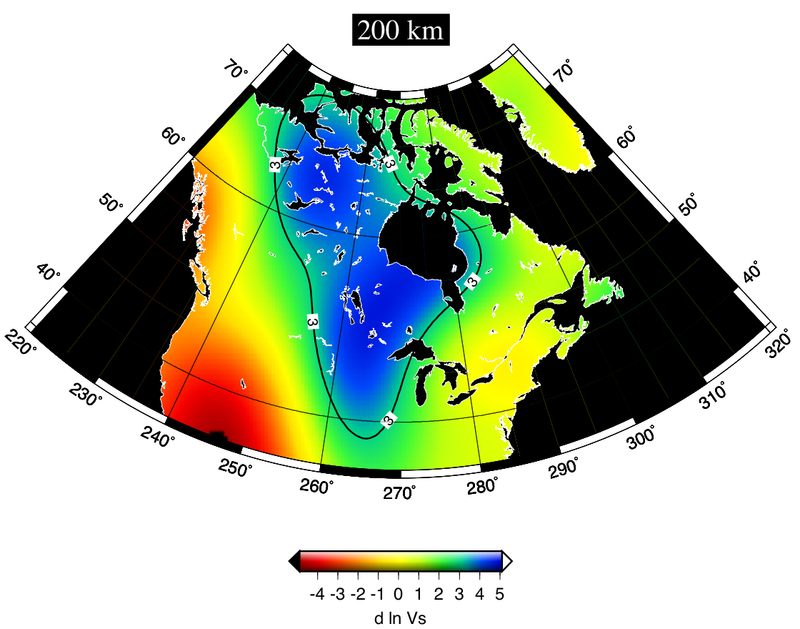 POLARIS (Portable Observatories for Lithospheric Analysis and Research Investigating Seismicity), is a Canadian funded effort to provide live data for research, education and continuous monitoring of earthquakes throughout Canada. 96 POLARIS observatories are currently operational in five arrays: Ontario, British Columbia, North West Territories, Quebec and Nunavut. A number of POLARIS stations have been recently deployed in the Hudson Bay Basin region, including those deployed in northern Quebec by the University of Calgary, and those deployed in the Rae province of Nunavut by the Geological Survey of Canada. HuBLE Personnel at the University of Bristol are contributing a further 10 broadband stations in northern Nunavut in areas such as Southampton Island, Mansel Island, and Pangnirtung. More information about HuBLE-UK can be found here. To the southwest, the University of Manitoba is operating an array in southern Manitoba. Finally, exisiting stations in northern Ontario (FEDNOR) and Quebec (DIVEX) and permanent station of the Canadian National Seismograph Network (CNSN) compliment the temporary networks. A map of all seismic stations in the Hudson Bay region can be found on the network page. The structure and evolution of lithospheric roots and their dynamic interaction with mantle flow. The formation of intracratonic basins: (a) postglacial isostatic rebound? (b) Mantle flow (downwelling) beneath Hudson Bay? (c) A phase change from gabbro to denser eclogite in the deep parts of thickened crust (Fowler and Nesbit, 1985; Baird et al., 1995)? (d) What is the role of extension, uplift and denudation? The lithospheric structure of the Trans-Hudson Orogen beneath Hudson Bay and the nature of the Nastapoka Arc. The nature of intraplate seismicity in the region. Please keep an eye on our list of publications as the project develops.